Back to school season is upon us, and one way to prepare for all the commutes and after-school driving is to bring your vehicle in for routine maintenance. Our Acura service center near Long Island, NY is more than prepared to help with your service needs. Not only are our technicians skilled and certified, but they also know how to do the job efficiently. Whether you choose to wait in our lounge or drop your vehicle off in the morning, you can expect thorough service in a timely manner. 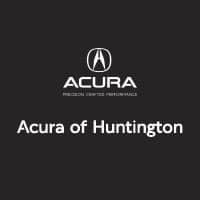 At Acura of Huntington, we specialize in everything from oil changes to full detailing. We also perform a myriad of tire services such as pressure checks, inspections, replacement, and more. Our service professionals only use long-lasting, genuine OEM Acura car parts. These parts are guaranteed to fit seamlessly in your vehicle and operate the same as the original piece. If we don’t currently have a part in stock, we are more than happy to order it for you. Working with our service and parts center serving Bayshore has never been easier. Our highly knowledgeable staff can help diagnose any issues with your vehicle and offer advice on what’s best for you and your Acura MDX or Acura TLX. For your utmost convenience, you can set up an appointment right here on our website, or by giving us a call at 855-311-7482. Our parts and service department is open six days a week—Monday to Friday from 7:30 AM to 5 PM and Saturday from 7:30 AM to 4 PM. Don’t forget to check out our service coupons and specials online and take a glance at other helpful information on our site like the Acura parts recall listing.